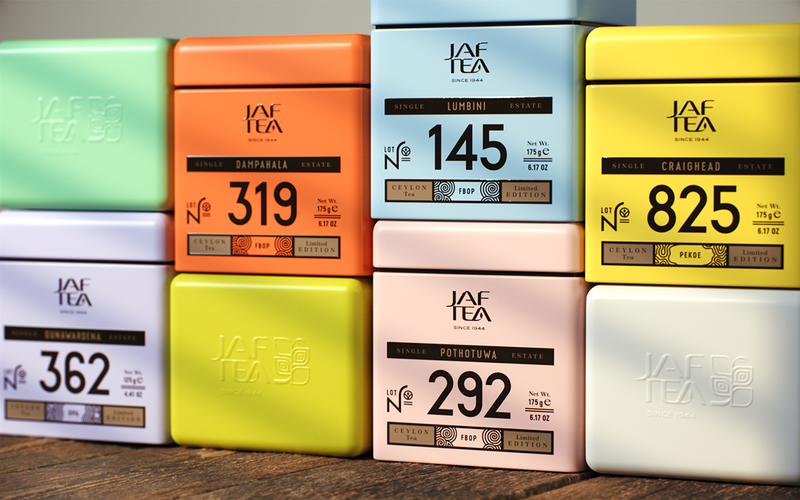 Single Estate is a new limited edition collection of premium Ceylon teas launched by Jaf Tea brand. 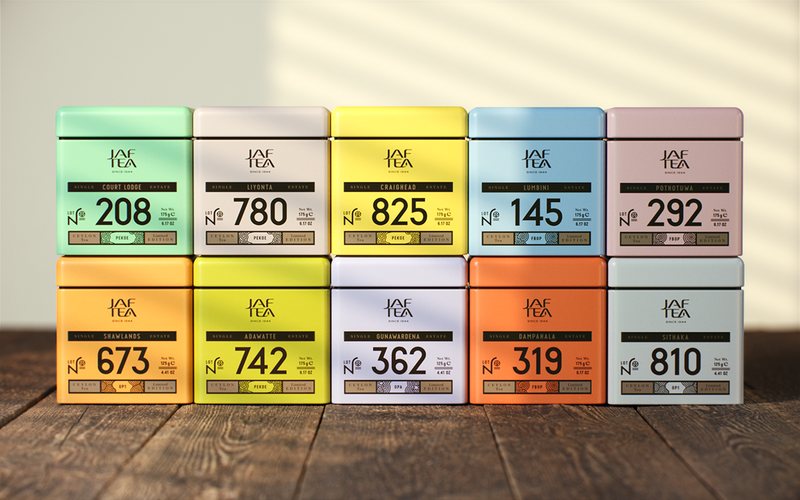 The brand has over 70 years of unique experience, it is widely known all other the world by superior tea quality and demanding tasters. 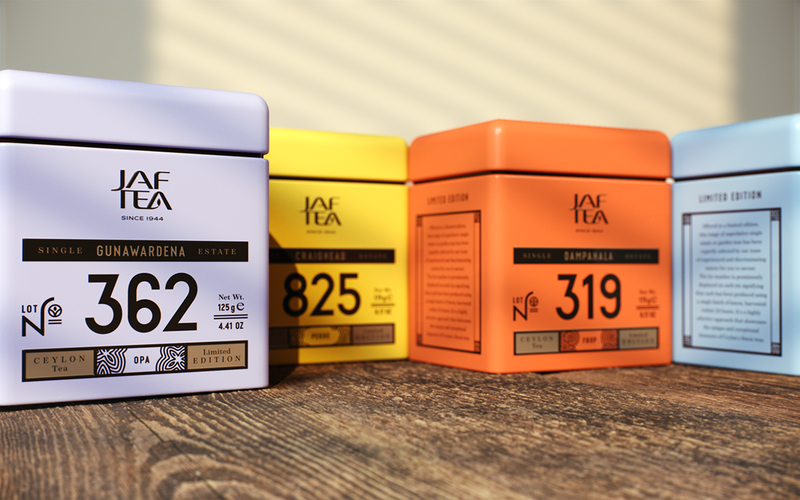 The teas for the Single Estate collection have been expertly selected by the experienced craftsmasters to immerse the customers into the tea world even more deeply. 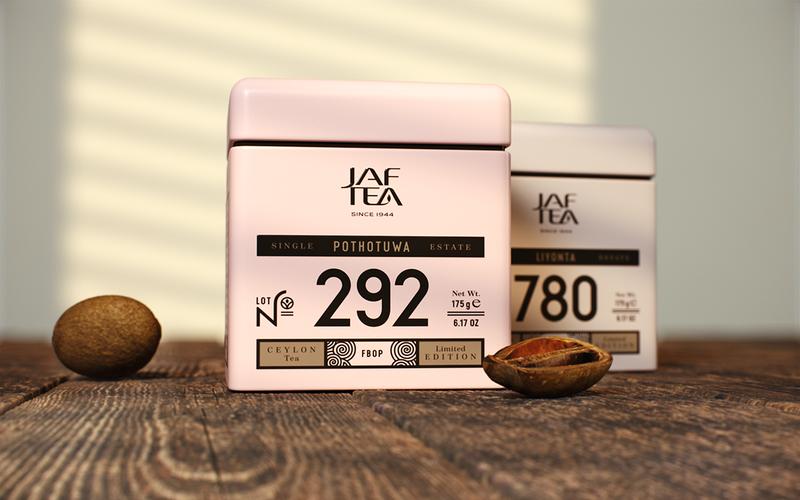 The essence of the packaging is to share all the information about the tea: grade, growing region with the point on the map of Ceylon, elevation, tasting notes and strength. In this way the bun-fighting process becomes even more enjoyable. Making design for this collection we got inspired by the colonial spirit, which represents the loyalty to the traditions and the deep historical roots of the tea production in Ceylon. In spite of the vintage style the tins look very modern due to the bold typography. 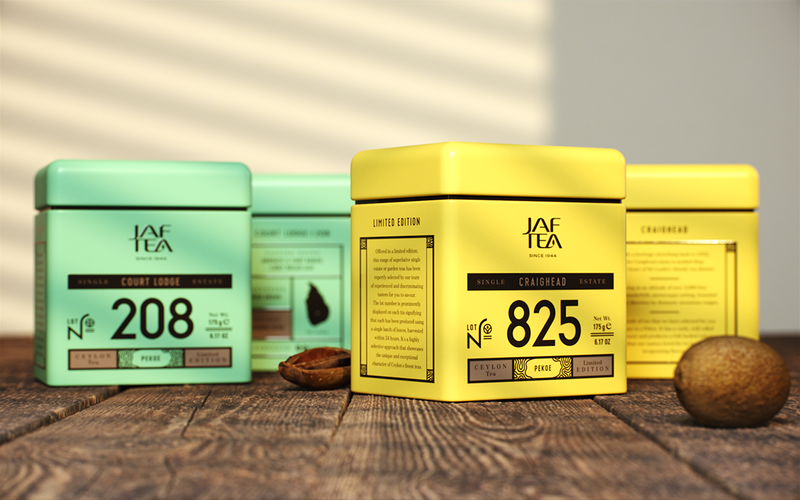 Single Estate is the new limited edition collection of the premium Ceylon tea launched by the Jaf Tea brand. 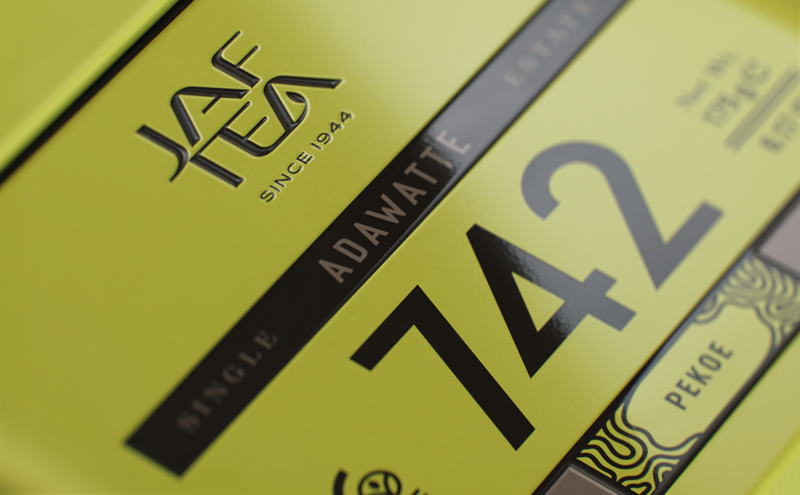 The brand has more than 70 years of unique experience, it’s widely known all over the world for superior tea quality and outstanding taste. 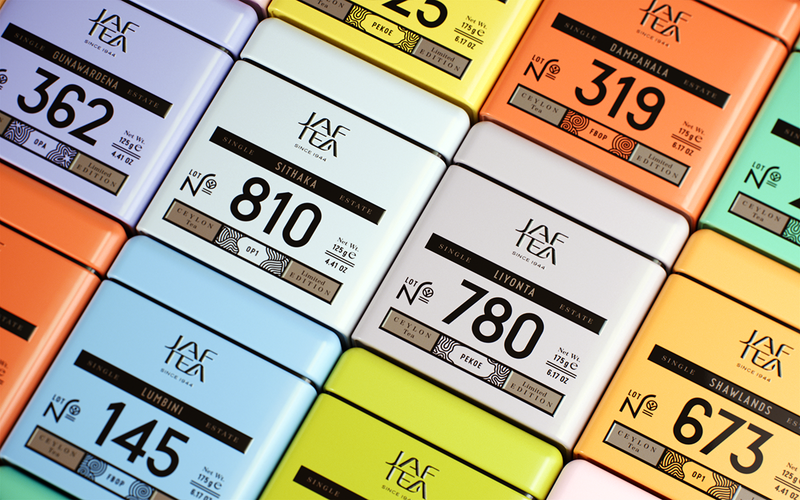 The teas for Single Estate collection have been expertly selected by experienced craftsmasters to immerse the customers into the tea taste’s world even more deeply. 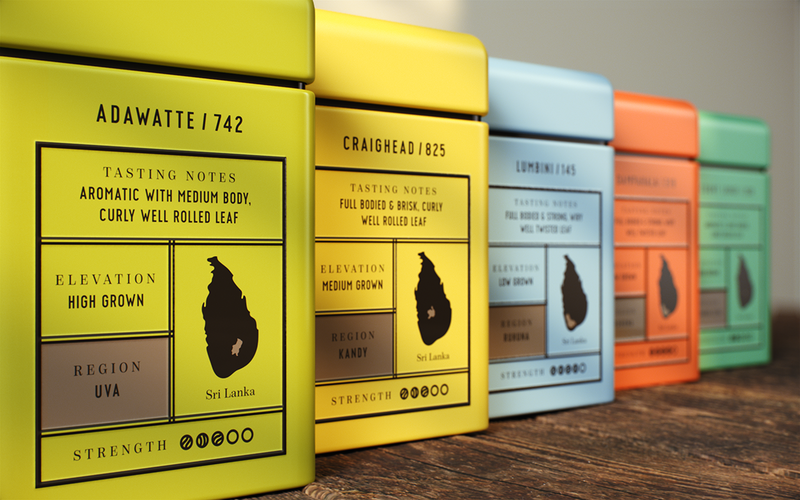 The essence of the packaging is to share all the information about the tea: grade, growing region with point on the Ceylon map, elevation, tasting notes and strength. This way the bun-fighting process becomes even more enjoyable and conscious. For the design of this collection we were inspired by the colonial spirit, which demonstrates loyalty to traditions and deep historical roots of the tea production in Ceylon. In spite of the vintage style the tins look very modern due to the bold typography.